Just over 5 years ago, I read an article in an NCT magazine about a group of volunteers in Staffordshire who were creating packs of essential items for destitute new mums. These included things like newborn nappies, clothes for the baby and sanitary towels for the mum. Having just given birth to my second child, I found the idea of someone struggling to buy themselves some sanitary towels really shocking. I realised that I was in a great position to set up something similar in this area, as I had just taken on the role of Chair of NCT Bromley and Chislehurst. At first, therefore, Bromley Brighter Beginnings was part of the local NCT branch, and NCT provided valuable support with our initial applications for funding. However it soon became apparent that we couldn’t sustain the project for long unless we became a stand-alone organisation; we just couldn’t get any funding while we were part of a national charity. I contacted the volunteers in Staffordshire and found that, sadly, their project was folding due to lack of funds. They were, however, able to send me some detailed guidance notes about their project, which really helped. I wrote to all the local organisations and charities I could think of who might want to make referrals to us. This led to meetings with the Chief Midwife at the PRUH and the manager of the Bromley Children Project. These gave us a much clearer idea of the kind of issues families living in poverty faced in this particular area. The BCP manager, who has since retired, was very encouraging – she believed passionately that if people in crisis receive support, they are more likely to go on to become financially independent and to contribute more to society in the longer term. We had only received £500 of funding at this point, from the company of a local mum who had volunteered for NCT. But we decided it was enough to get started. We set up a basic website, with the help of an NCT volunteer (now our Head of Design). 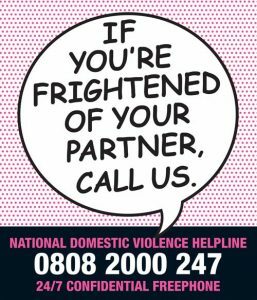 Through a friend who worked for the police, I was put in contact with the coordinator for domestic abuse in the area, and she circulated details of the service we were offering, with a link to the site, to service providers throughout the borough. A couple of days later, we received our first referral – Bromley Women’s Aid needed a cot for a baby who was arriving in refuge that night. I posted a message on a local NCT forum and someone who was about to move house offered to donate a cot. I carried it to the refuge – and our first referral was complete. We were very short of volunteers at this point, but we set up the Facebook group and started inviting people to join. After a few months, a few more people had started volunteering, and after receiving some more funding from a company, we held an official launch party at the Cinnamon Club in Sundridge Park. Lots of local health professionals came along, which really helped to spread the word. Since then, BBB has grown organically. Health professionals have passed on our details to their colleagues. Supporters have invited their friends to join our Facebook group (now nearly 2,000 people). Volunteers have come and gone but we have a steady team now of 25. All of our funding has come from corporate donations, and individual donations. We often receive requests from professionals in neighbouring boroughs, particularly Lewisham and Croydon, which we are sadly unable to take on. But we are more than happy to offer guidance and support to anyone who would like to set up a Brighter Beginnings project in another borough; just contact us by email: bromleybrighterbeginnings@gmail.com.